Genius: an exceptionally intelligent person or one with exceptional skill in a particular area of activity. If we agree with the definition of genius given by the Oxford Dictionary then Natalino Crognaletti, the driving force behind Fattoria San Lorenzo, is definitely a genius. Biodynamic ante-litteram as this is how they always did it since his great grandfather started growing grapes: take a walk in the vineyard with Natalino and you'll be amazed by the incredible amount of ladybirds, butterflies and bees “working” with him. And if you compare with the desolate “death valley” landscape of the neighboring chemical-sprayed vineyards, the difference is striking. The farm is also self-sufficient and pretty much everything they need is home grown or produced (they basically buy only flour, sugar and coffee). 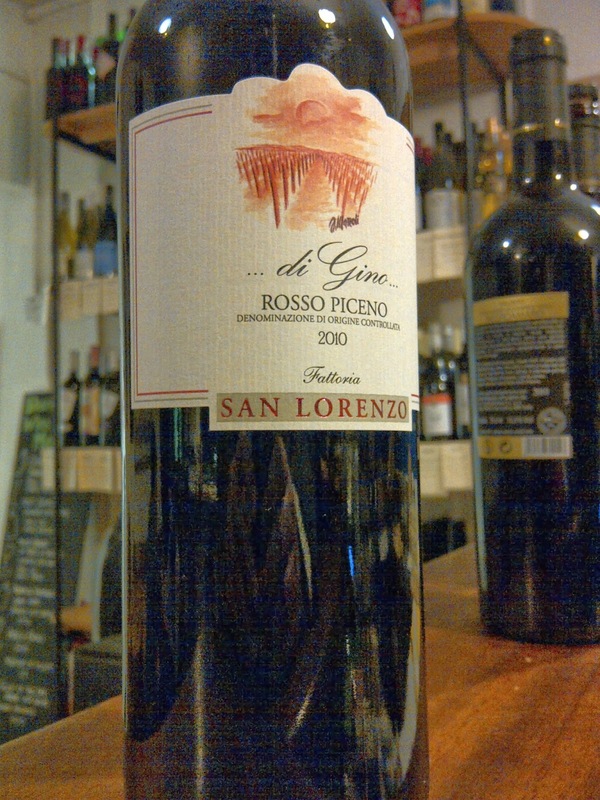 It's difficult for me to pick a favourite from the vast range of wines Natalino produces, but the Rosso Piceno “di Gino” is consistently one of the best reds he makes, and possibly one of the best value for money I ever found. A blend of Montepulciano and Sangiovese in a 60:40 ratio mainly aged in steel vats (only 10% of the wine sees oak, just to soften a bit the natural acidity of the two grapes and to add a extra layer of complexity), this wine is rich, deep, funky, complex, ripe but never overpowering. 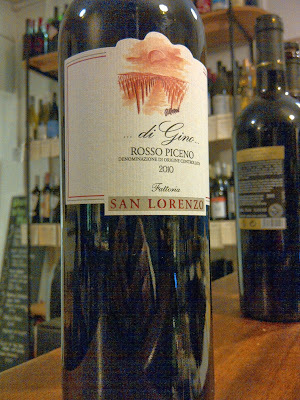 It's also full of black cherries, red fruit, spices, liquorice and tobacco. And just in case you were wondering, it is age-worthy and at the same time has that sort of please-give-me-another-sip drinking feel that I know you like. Anything else you need to know about it? No.